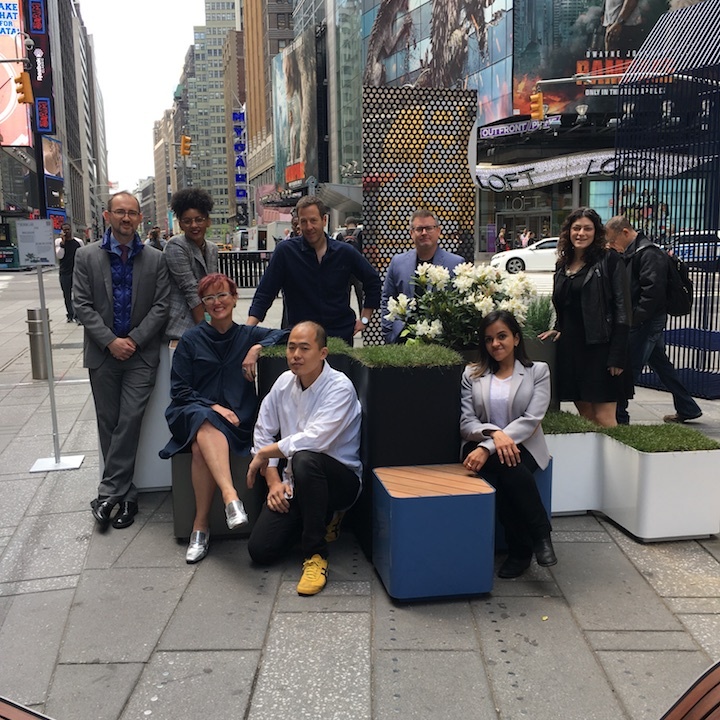 Part of the Times Square Design Lab team sitting on Island Collection, by Brad Ascalon Times Square Design Lab ‘18. Left to right: Jerome Barth, Brittney Hazelwood, Victoria Milne, Brad Ascalon, Louis Lim, William Sarnecky, Alexandra Gonzalez, Rebecca Rodal. 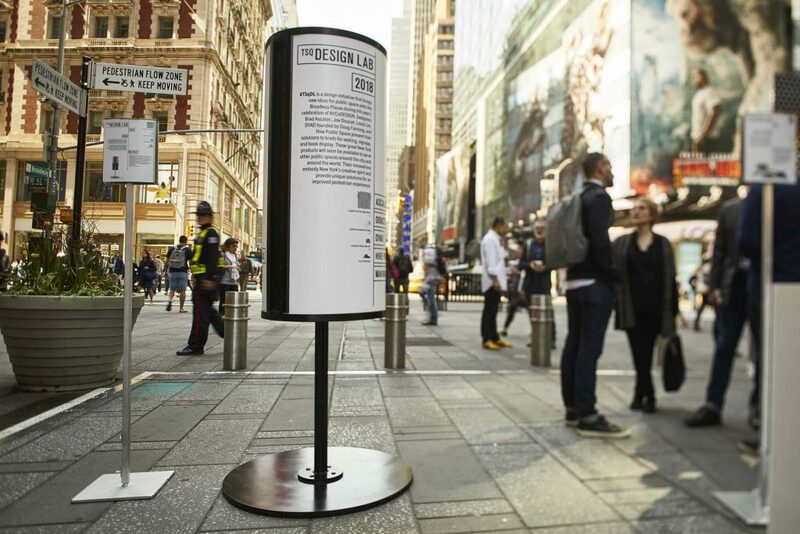 Part time faculty Victoria Milne‘s firm, 6¢ Design, worked with client Times Square Alliance to create the Times Square Design Lab. 6¢ developed scopes for three street furniture products, invited nine designers to respond, and helped the Alliance select five designs to prototype. 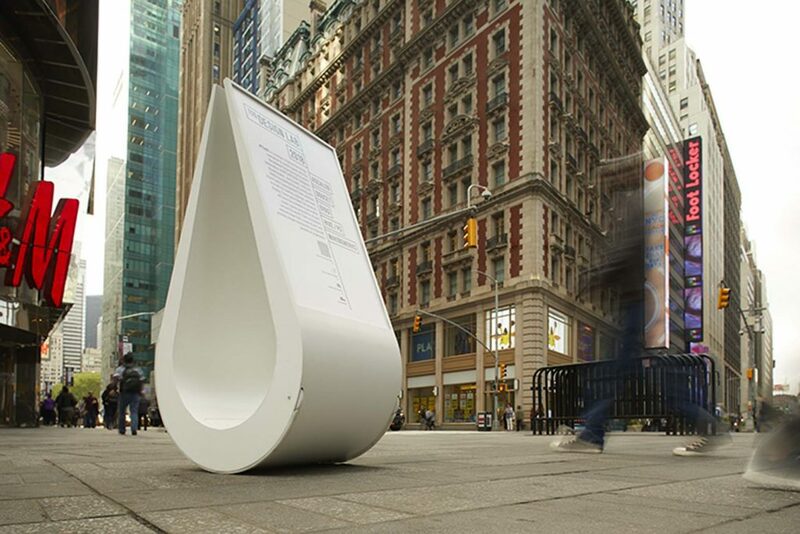 The result is two seating designs: The Village by Joe Doucet, and Island Collection by Brad Ascalon; an outdoor bookcase: Title Wave by Hive Public Space; and two sign holders: Drop Sign by Louis Lim and Re: Post by Douglas Fanning. 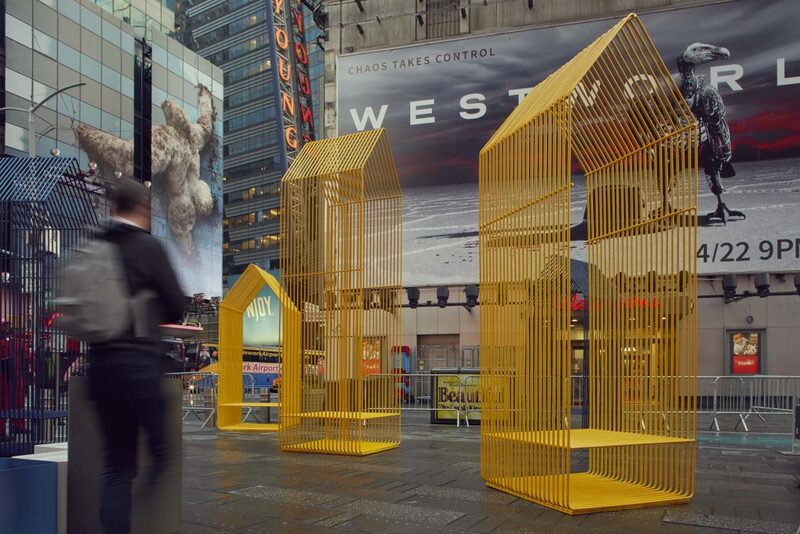 Prototypes of these designs were presented on the Times Square Plaza on May 11, 2018. 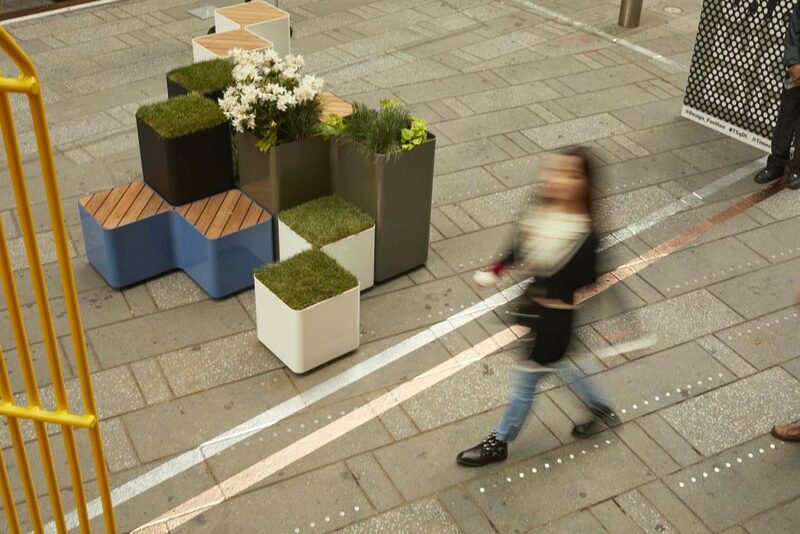 The Island Collection design will be manufactured and distributed through Landscape Forms.